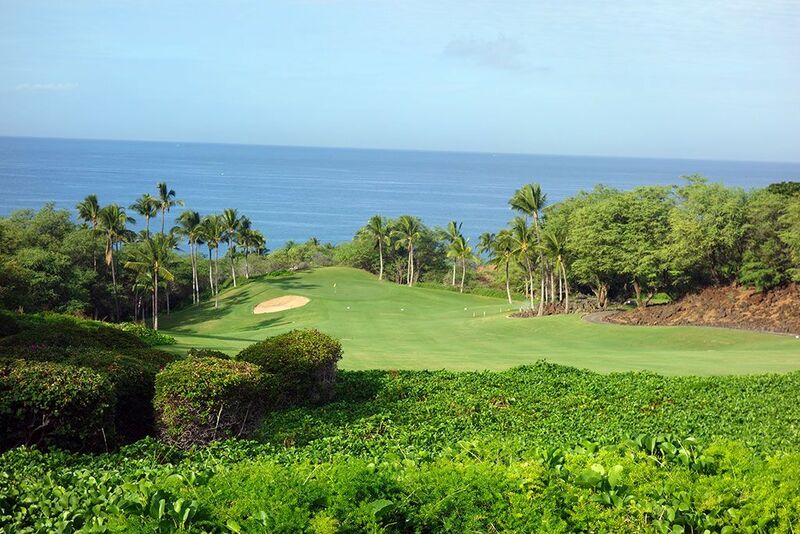 Course Website: Official Website - Visit Wailea Resort (Emerald)'s official website by clicking on the link provided. 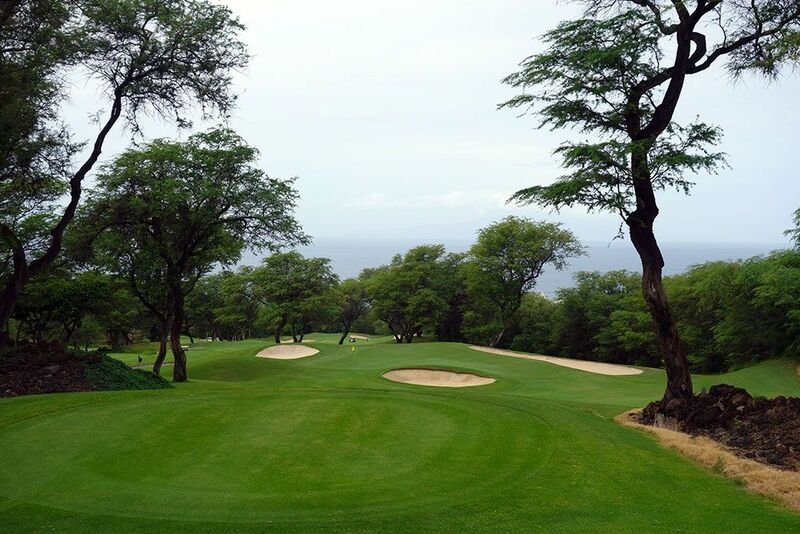 Accolades: Ranked 14th in Hawaii on Golf Course Gurus' Best in State list. 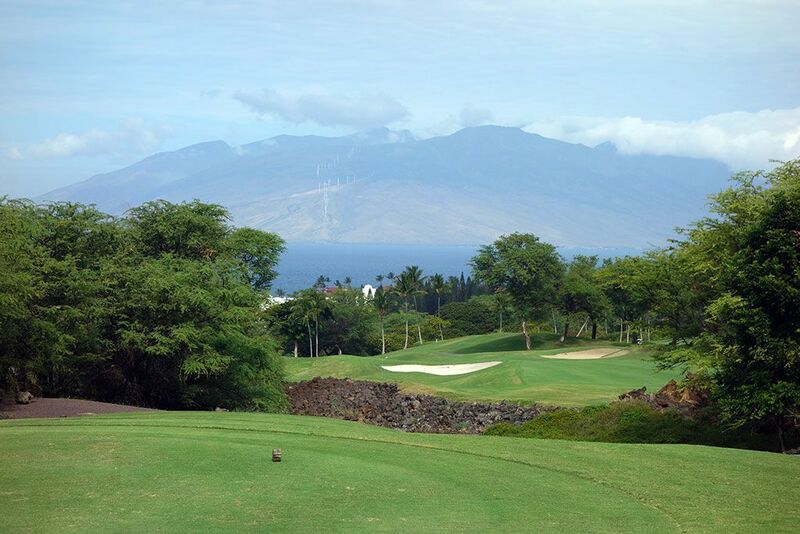 What to Expect: The Emerald course is one of three tracks found at the luxurious Grand Wailea Resort in southern Maui. The Robert Trent Jones Jr. design opened in December of 1994; the same year that the neighboring Gold course was unveiled. While none of the courses border the coastline, views of the Pacific Ocean are afforded throughout the day more so at the Emerald course than at either of its sibling courses. The Emerald course has the reputation of being shorter and easier than the Gold but don't let that fool you into thinking it is a cake walk. There are still over 80 bunkers on the course and the course tips our just 250 yards shorter than the Gold, however the Emerald does indeed offer some reprieve in scoring through some reachable par 5s, shorter par 4s, and more generous driving zones. The Emerald features memorable hole designs throughout the layout and maintains a nice balance of scoring opportunities mixed in with some formidable challenges. 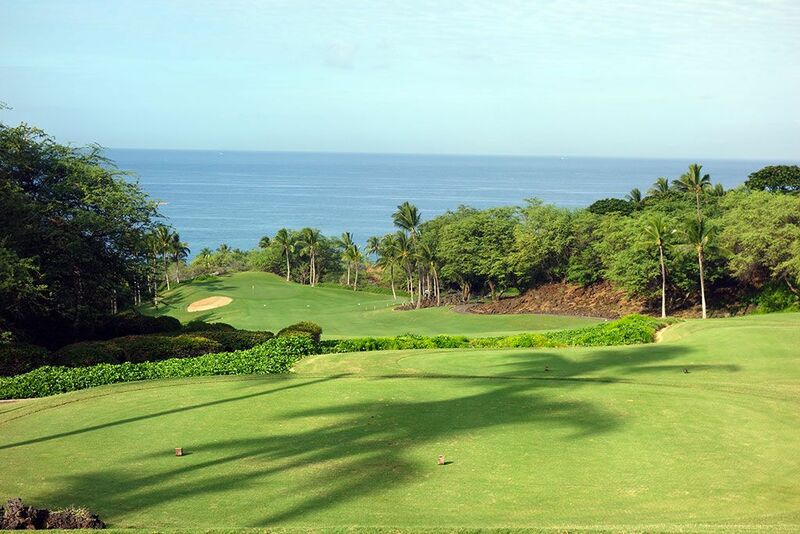 Signature Hole: 1st Hole – 380 Yard Par 4 – You have no doubts you are in Hawaii on this beautiful opening hole that features lava rock on the right, jungle hugging the left, and the vast Pacific Ocean encompassing the background. 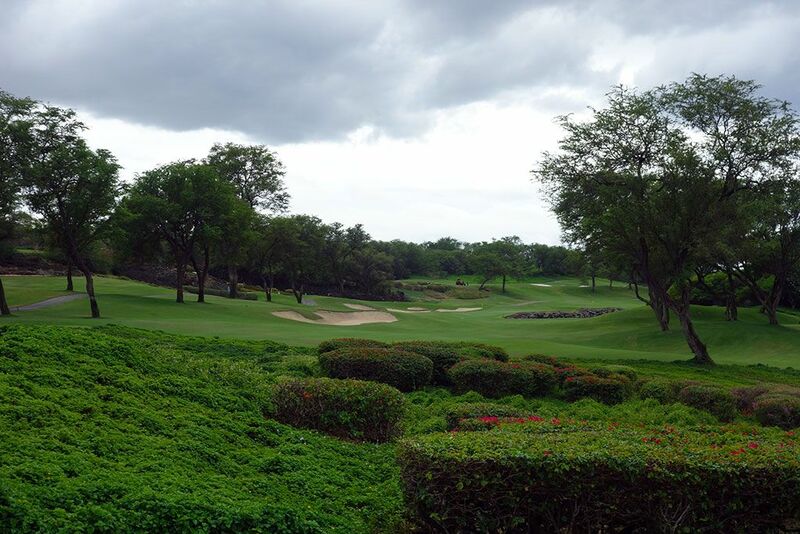 This sub-400 yard hole plays downhill and won't be difficult to reach in regulation as long as you are able to settle your nerves enough to find the fairway off the tee. 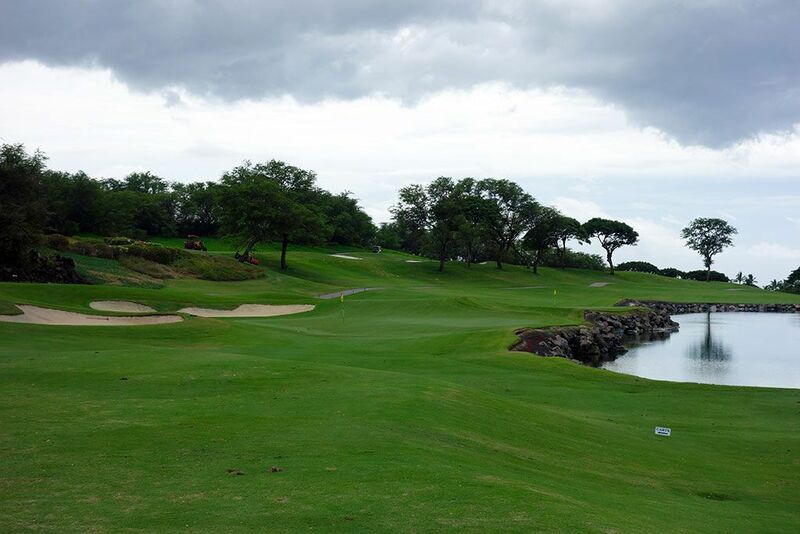 Best Par 3: 13th Hole – 148 Yards – A short downhill hole that plays to the most undulated green on the course. A trio of bunkers surround the green while the sloped putting surface is the most likely to yield a hole in one considering how much spin players will have on their shot. The ocean in the background beyond the trees provides an attractive view. Best Par 4: 6th Hole – 456 Yards – The best hole at the Emerald course is this impressive downhill dogleg left par four that plays back towards the ocean. The tee shot calls for a draw over the left bunker to a fairway where the landing zone is blind from the back box. The approach shot plays down to a bunkerless two-tiered green with swells in front and falloffs to the sides and back. Best Par 5: 18th Hole – 553 Yards – The closing hole is an enjoyable par five that plays downhill and straightaway off the tee before turning right at the end to a green protected by five bunkers. 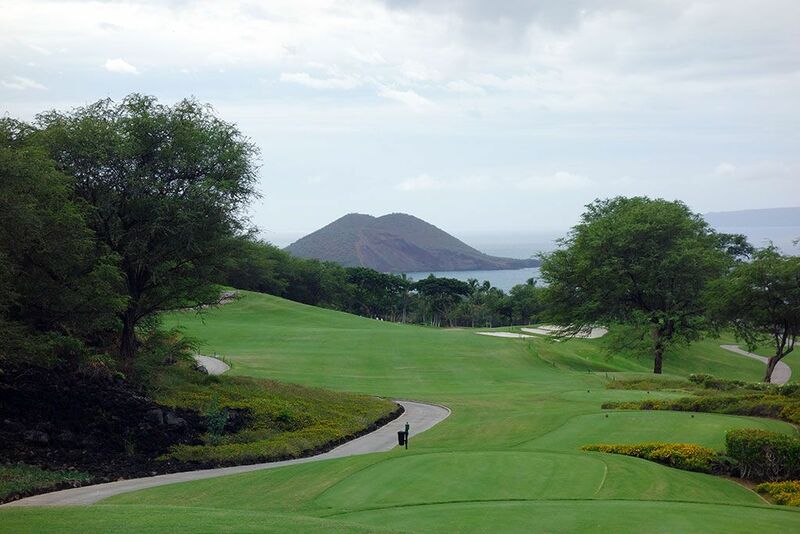 The fairways slopes from left to right thus following the natural terrain that tumbles towards the ocean. 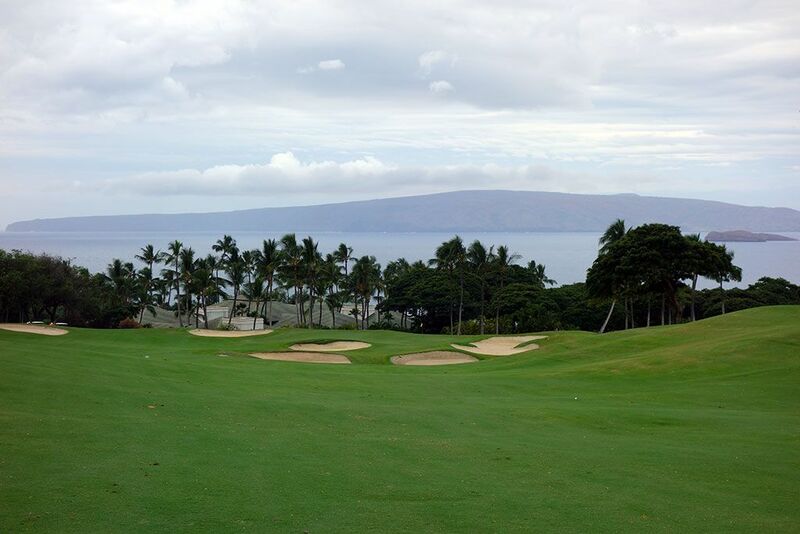 Views of Molokini crater and Kahoolawe island are afforded in the background as one final piece of eye candy to finish your round with. Birdie Time: 17th Hole – 332 Yard Par 4 – RTJ Jr. gives players one more chance to score well before heading into the closer with this driveable par four. A pond flanks the right side so it is important to keep your tee shot up the left side and take your chances with the bunkering there if taking a rip at the green. I saved my best drive of the day for this hole and managed to reach the putting surface before two-putting for birdie; it's fun to play a hole just like you envision once in awhile. Bogey Beware: 5th Hole – 394 Yard Par 4 – It is rare to feature a par four of this length as the Bogey Beware hole, but this unassuming offering is worthy of the distinction. The hole plays uphill the entire way home and someone in your foursome will inevitably hit their approach fat on the sloped terrain thus leaving themselves short of the green. A bunker rests short and left of the green but is much further away from the green than appears from the fairway thus creating a optical illusion that can again make players hit their approach short. 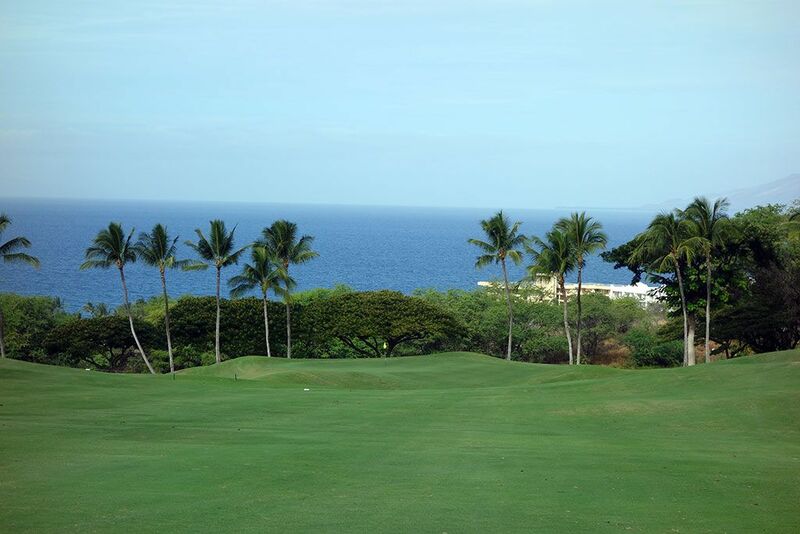 Finally, the tiered green yields multiple three-putts throughout the day and creates a final challenge to conquer.